One of the main events of the 19th century in Arles was the arrival of the railway and the construction of the SNCF workshops between 1845 and 1856. This marked a total rupture with the traditional activities of inland water shipping. 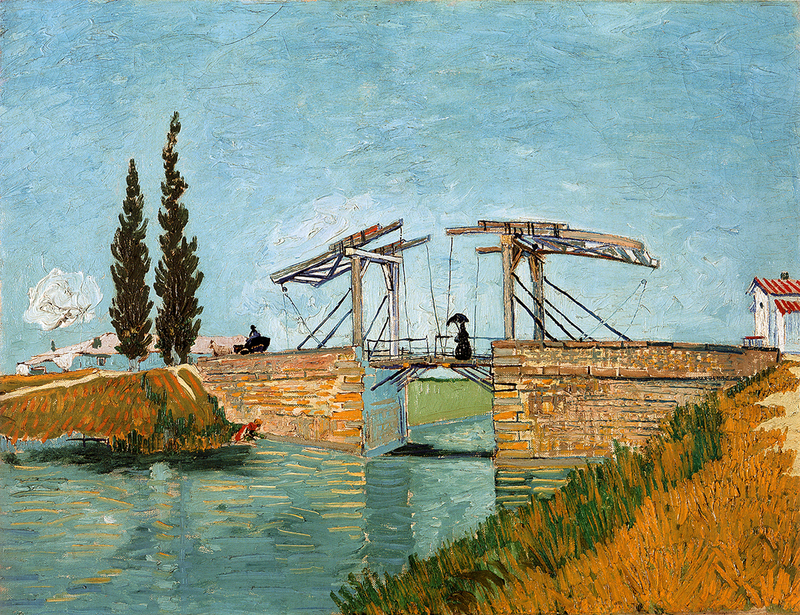 Association for the creation of the Van Gogh Foundation. Van Gogh wanted to create the " Atelier du Midi" , to draw painters around him. The Foundation's aim in creating this workshop was to gather together contemporary artists in memory of Van Gogh. Itinerary of the walk on sale at the Tourist office, to do at your own pace..
During his stay in Arles between February 1888 and May 1889, Vincent Van Gogh produced approximately 300 drawings and paintings. The places where the artist set up his easel in the city are marked out by panels showing his paintings. About ten places are thus marked out: the Place du Forum for his Cafe at night, the Trinquetaille Bridge for the staircase of the Trinquetaille Bridge, the docks for hisStarry night over the Rhone, the Place Lamartine for hisYellow house, the rue Mireille for The Old Mill, the garden on the Boulevard des Lices for The Public Garden, The Espace Van-Gogh for the Garden of the Hospital at Arles, the road along the Arles canal at Bouc for his Langlois Bridge at Arles with women washing, more commonly called the «Van Gogh Bridge ». The Arena and Alycamps were also immortalised in several paintings.